The Theta Zeta Chapter of Sigma Chi’s rush week of ficially begins Monday September 18th. If you have any interest in Greek life or joining Sigma Chi please rush! Feel free to come to as many events as you would like! 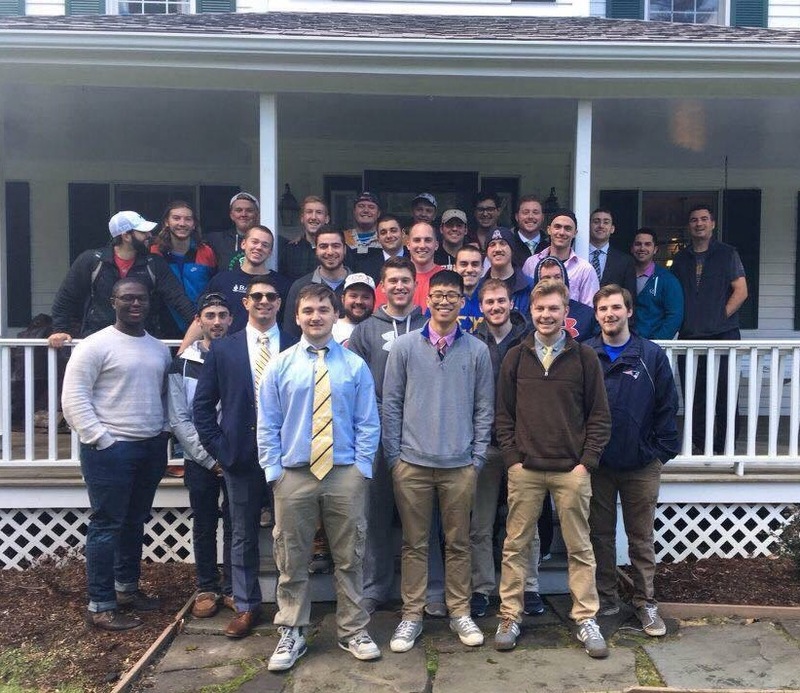 The Theta Zeta chapter of Bridgewater State University has been on campus for a little over a month, and are already reaching out and associating with other Greek Life. Our chapter has begun to form a relationship with the sorority Delta Phi Epsilon. The two Greek organizations came together and enjoyed a pasta social dinner, where we introduced each ourselves, socialized, and enjoyed some great pasta. With the recent cold and snow the holiday season is officially underway. 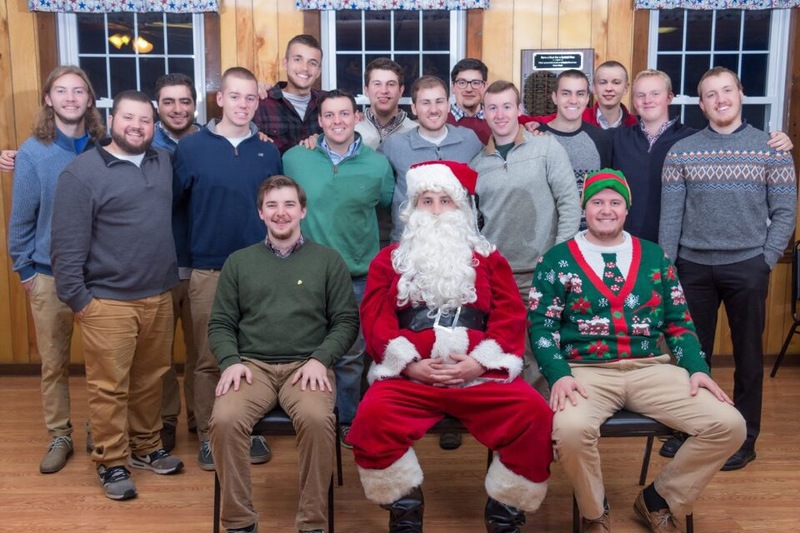 On behalf of the Theta Zeta chapter we want to wish everyone a happy and safe holiday! Congratulations and welcome to our three new brothers, Cody Trudelle, Pume Udomratanakson and Connor Kearns; into the Theta Zeta chapter of Sigma Chi! These three men displayed a strong level of drive and aptitude throughout their journey of pledging and we are proud to call them our brothers! 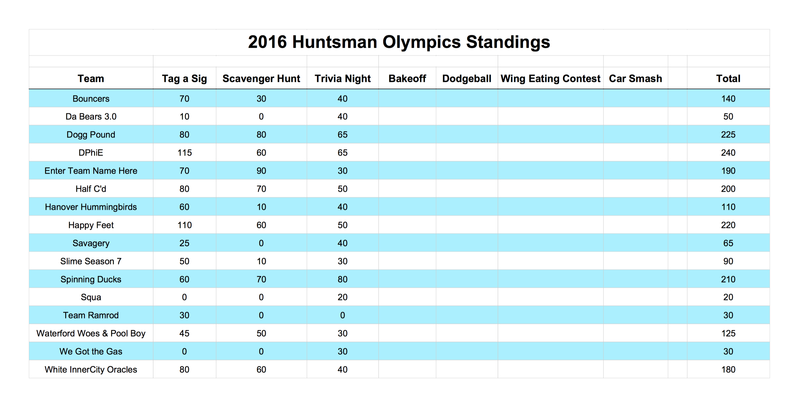 After wrapping up the second day of the Huntsman Olympics, DPhiE leads with 240 points! Yesterday’s Scavenger Hunt and Tag a Sig events had Olympians running madly about Bridgewater. This evening’s Trivia Night saw the teams exercising their minds with questions in various categories. Stay tuned to see how the Olympics unfold!